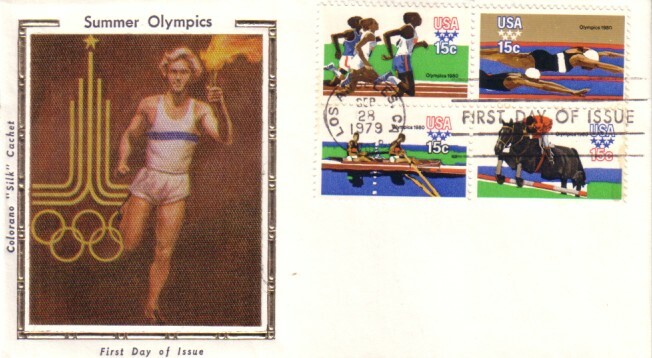 Colorano Silk Cachet USPS First Day Cover for the four 15 cent stamps issued for the 1980 Summer Olympics (eventually boycotted by the US) postmarked Sept. 28, 1979 (the first day of issue). Has very minor wear. ONLY ONE AVAILABLE FOR SALE.